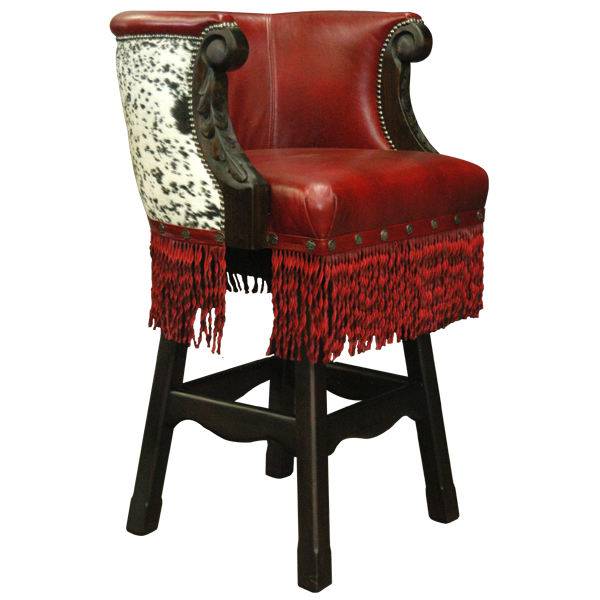 This Western styled custom handcrafted bar stool has great composition of color and texture. 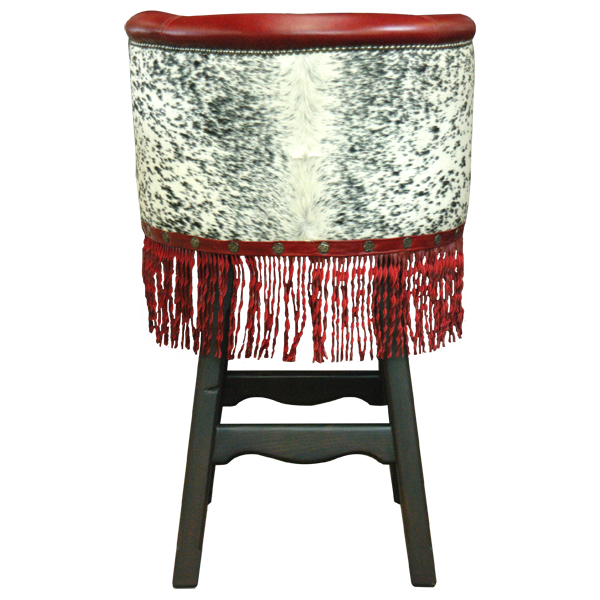 This is reflected in its imaginative use of brilliant colored full grain leather, cowhide, and brightly colored full grain leather fringe. 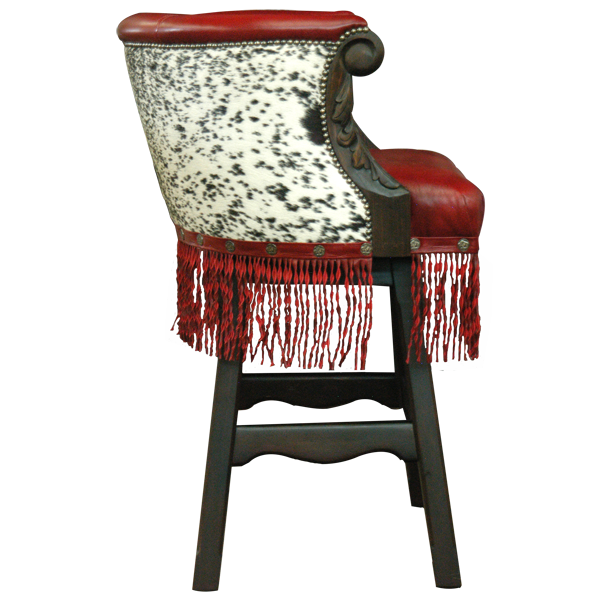 The seat and inside seat back of the bar stool is upholstered in luminous red colored full grain leather, and the reverse seat back is upholstered in genuine cowhide. The wooden armrest are ornately hand carved with lovely floral and scrolled details. 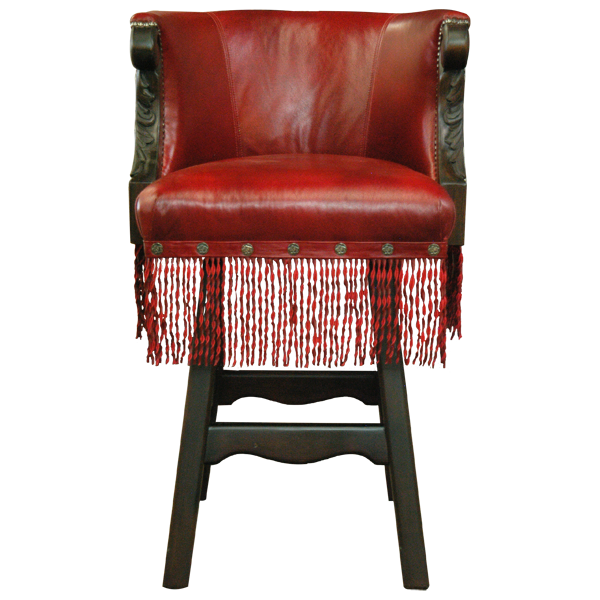 The Western influences are further reflected in the dramatic long red colored full grain leather fringe hand tacked around all sides of the base, and with the hand forged iron nails on the lower part of the base. Durable and comfortable, the bar stool is made with the best wood available. The entire bar stool sits on splayed solid wood legs joined by a curved cut foot rest box stretcher. The bar stool swivels 180° and is 100% customizable.